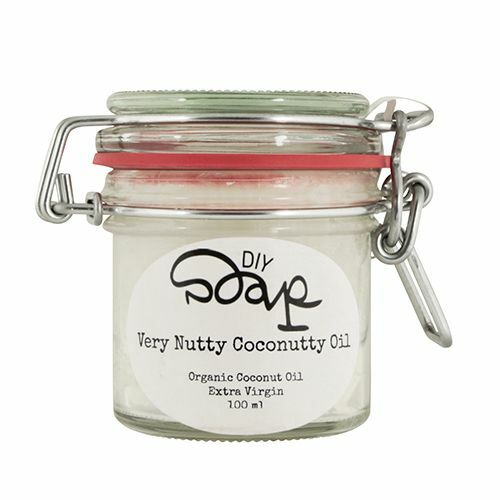 This Very Nutty Coconutty Oil can really be used for anything: hydration of the body, dry hands, cleansing face, eye makeup remover and a natural conditioner for shiny and healthy hair! 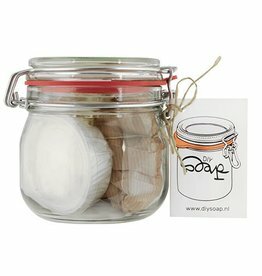 Combine with our reusable make-up pads to easily remove your eye make-up. 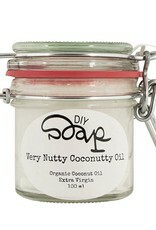 Our coconut oil is organic and extra virgin (cold pressed) and smells like...... coconut oil! Read on for 10 beauty tips with coconut oil. 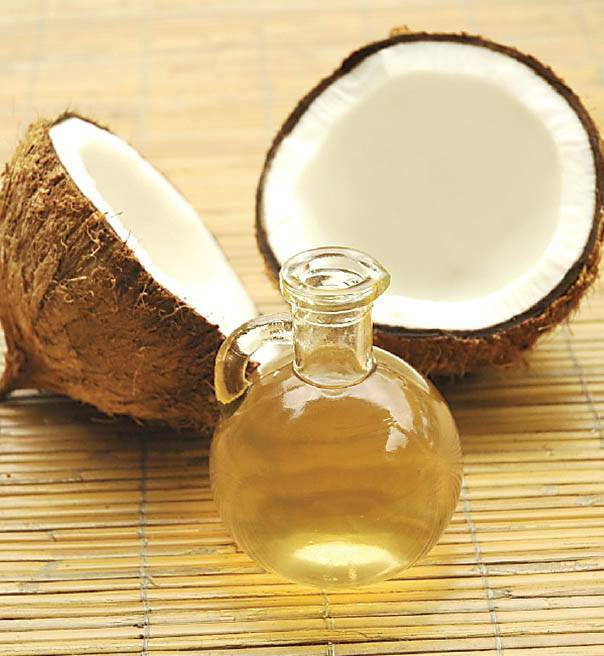 Coconut oil naturally has an antibacterial effect and kills fungi and in addition, has moisturizing properties. 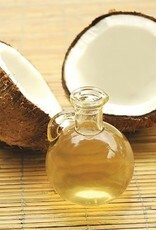 Many women use coconut oil in place of a night cream. Rub coconut oil in circular movements on your face and neck. 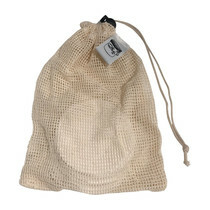 Thus giving your face a quick massage and oxygen boost that stimulates anti-aging. 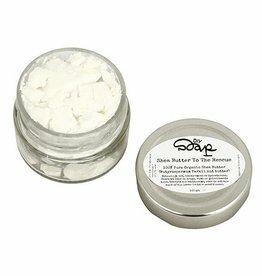 Great for oily / problematic facial skin. Coconut oil has excellent moisturizing properties and can absorb in your hair better than other oils. And do not forget: it smells good. Use coconut oil as a hair mask and wash your hair with a mild shampoo. 1) Nourishes and softens dry hands. Smear a little coconut oil on your hands and enjoy silky soft hands! Not convenient to use when you need to quickly rush out the door, because the oil your hands makes them greasy for a little while until fully absorbed. 2) As a highlighter on your face. Spread a little bit of coconut oil on top of your makeup to your cheekbones. You immediately look radiant and fresh! 3) To shave your legs. Grease coconut oil on your legs and use coconut oil instead of shaving cream. Your legs will be equal hydrated and soft after shaving. 4) As conditioner for your hair. 5) As eye make-up remover. Coconut oil even works as a makeup remover for waterproof mascara. Smear a little coconut oil on a cotton pad or reusable make-up pad and gently rub this over your eyes and then under your eyes. Simultaneously you are hydrating around the eye. After just wash your face as you always do. Coconut oil works well to moisturize your skin and is very suitable for very dry skin. The oil makes creates a greasy residue, so not suitable to apply in the morning if you have to rush out the door. 7) To moisturise your face. Coconut oil has an antibacterial effect and kills fungi, in addition to that it has moisturizing properties, many women use coconut oil in place of a night cream. Rub the coconut oil in circular motions on your face and neck, also giving your face a massage as well. When you're done you can remove the excess oil with your favorite cleanser. Coconut oil can help fight acne, but try this out carefully to see how your skin responds. 8) To create a natural shine in your hair. Spread a little bit of coconut oil in the tips of your hair. Your hair will look healthy and shiny! A little bit is enough; otherwise your hair may seem greasy. 9) As a body scrub. Melt some coconut oil and mix it with brown sugar or salt. Add some of your favorite essential oils for a little extra scent. 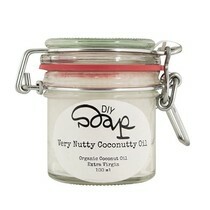 Or if you want to make it easier on yourself: Order the DIY Soap Nutty Coconutty Body Scrub! 10) As a massage oil. Coconut oil is good for your skin, easy to lubricate and hydrate your skin too. Organic Extra Virgin Coconut Oil (Cocos Nucifera Oil). 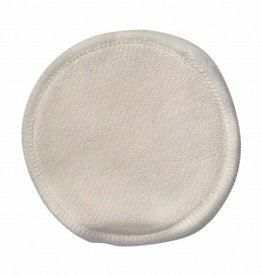 These reusable bamboo makeup pads are suitable for easy makeup removal, they are wonderfully soft for the skin. With or without handy laundry bag!